LOS ANGELES (Variety) – Thanks to a buzzy new movie on Netflix , metal band Mötley Crüe is once again making news, almost 40 years after they first hit the scene. 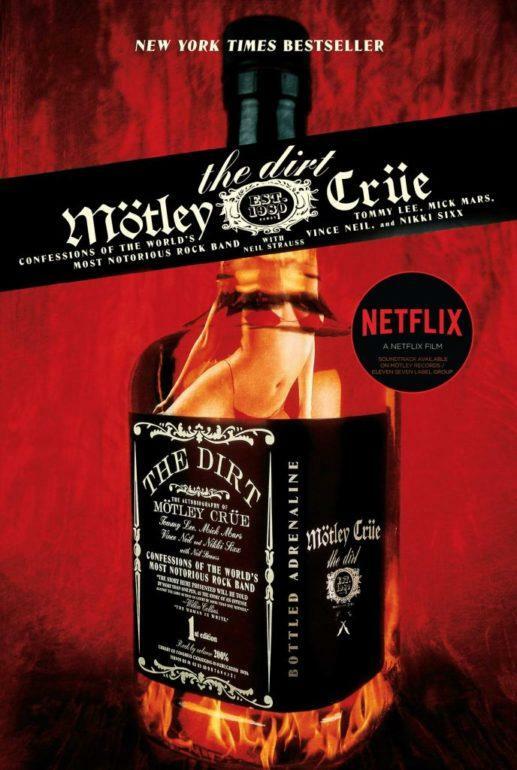 “The Dirt,” which stars Daniel Webber, Douglas Booth, Colson Baker and Iwan Rheon as Vince Neil, Nikki Sixx, Tommy Lee and Mick Mars respectively, chronicles the formation of the group, their fallout and their reconciliation, dotted with ripped-from-the-tabloid anecdotes along the way. 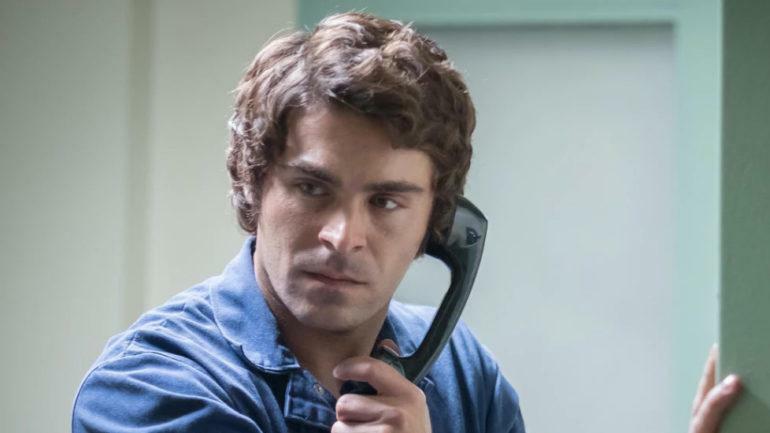 Released on last month, the film was received poorly by critics, but has had fans both old and new clamoring for more on the prolific ’80s and ’90s rockers. 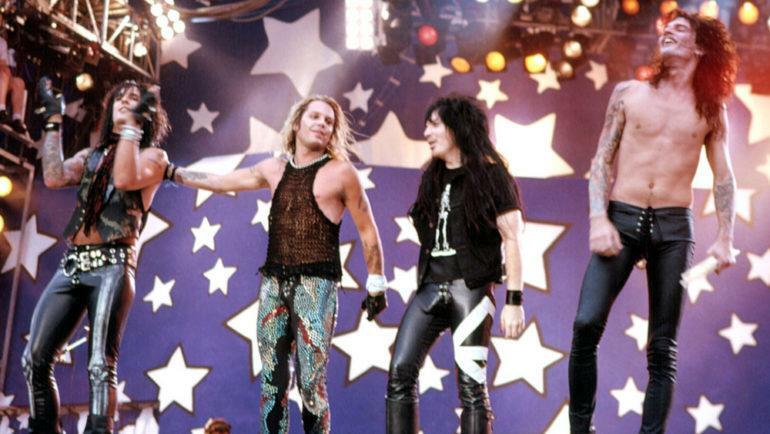 Still, while the group debuted a new single to coincide with the release of the biopic, the members have said there are no plans to reunite or put out a full album just yet. While you wait for new music, we’ve rounded up four Motley Crue books — all written by or approved by the band — that tell the story of how a group of misfits from Los Angeles rose to fame, rocked the industry and clawed their way to the top. The inspiration for the new biopic was this book, released in 2002 and penned by the four members of the band themselves (with an assist from journalist Neil Strauss). Released in conjunction with the 30th anniversary of the group’s founding, “The Dirt” gives readers a behind-the-scenes look at the rise of the band, their backstage antics, rocky romances, and ultimately, the vices that lead to the group’s undoing and subsequent hiatus. The book became an immediate hit when it was released, charting on the New York Times Best Sellers list for multiple weeks, thanks to its sordid — and occasionally graphic — tales of life on the road, which fans and readers lapped up. That part from the Netflix film about Ozzy Osbourne snorting ants out of a sidewalk crack? It was first detailed in this book, which also addresses the band’s scuffles with everyone from Axl Rose to Pamela Anderson. Purchase: $13.52 on Amazon.com . Nikki Sixx’s harrowing memoir about fame and addiction was re-issued in 2017, 10 years after the Mötley Crüe bassist first released his story publicly. Written by Sixx (with author Ian Griffins), the memoir shines a spotlight on Sixx’s darkest days, as he struggled with drug addiction and anger issues that threatened to tear apart his relationship with the band — and his friends and family. Though he was experiencing some of his greatest successes career-wise, Sixx writes that his personal life was in shambles, and the personal photos and journal entries he shares in the book reveal a musician who would often spend days in a coke and heroin-fueled daze (Sixx also released a book of personal photography, “This Is Gonna Hurt,” in 2013). 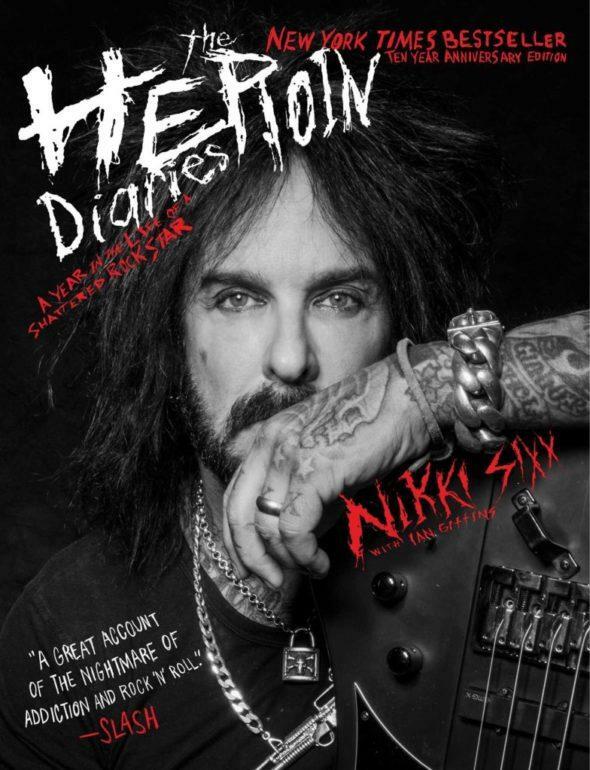 The 10 year anniversary edition of “The Heroin Diaries” features new content and entries from Sixx, who says he was inspired to share his story with a new generation of fans and readers, especially in light of the growing opioid crisis in the country. Though it offers a no-holds-barred account of drug dependency and a frightening descent into paranoia, Sixx says the important part is that he sought help and eventually overcame his demons. His subsequent recovery and transition into an advocate for rehab and treatment is what he wants the book to impart on others. Purchase: $16.36 on Amazon.com . Also the name of his second solo album, “Tommyland,” is Crüe drummer Tommy Lee’s controversial autobiography, released in 2009 and written with an assist from former Rolling Stone writer, Anthony Bozza. The confessional-style book chronicles Lee’s rise to fame, from joining Mötley Crüe at 17, to touring the world with the band, to his subsequent marriages — and divorces — from Hollywood bombshells Heather Locklear and Pamela Anderson. Though it’s filled with tabloid-worthy stories, the book also reveals Lee as a father, to two sons with Anderson, and shares the lessons he’s learned over the years from his troubles with the law and his rocky relationships in the music industry. “Those with weak stomachs, strict morals, or chronic indigestion should put the book down,” he writes in an excerpt. 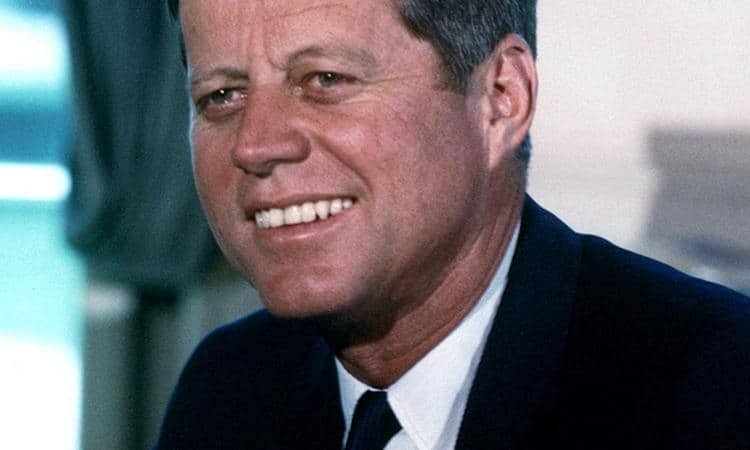 “For the rest of you, there’s one truth that’s real across the board: What you send out is what you get back. Send out the good, people, and it will come back to you.” Purchase: $11.00 on Amazon.com . 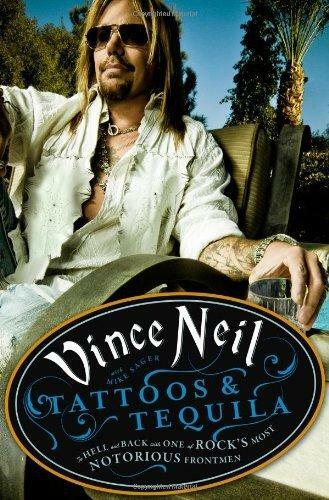 Like the other books on this list, Vince Neil’s memoir is a story of rage and redemption. While Neil contributed to “The Dirt,” he says he felt confined by the interview process for the book, and as a result, did not share as much with the publishers as the other members did. Years later, the singer released “Tattoos & Tequila” as a companion book to a solo album of the same name . Each song on the album corresponds with a chapter in the book, and both projects share the same cover. Neil addresses some painful moments in the memoir, including being behind the wheel of a fatal car crash in 1984 that claimed the life of a friend and critically injured two others. Neil would be charged with vehicular manslaughter, and sentenced to 30 days in jail and five years probation. The singer and reality TV star (Neil has appeared on ” The Surreal Life” and “Celebrity Apprentice,” among other reality shows) — also details his three plastic surgeries, his romances over the years and the lessons he’s learned from trying to make it in other businesses aside from music. “These days,” he writes, “I’ve got businesses to run. I like the action. Something to get your heart pumping. Healthier than a syringe full of cocaine powder like I was doing back in ’81 with my girlfriend Lovey, that’s for sure… But you got to admit…those days are a lot more fun to talk about.” Purchase: $10.74 on Amazon.com .